Who Owns History? Who Owns Culture? Who Owns Speech? 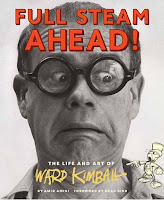 The Walt Disney company is responsible for delaying the publication of Full Steam Ahead! : The Life and Art of Ward Kimball by Amid Amidi. The reason, according to the author, is that Disney is unhappy that Kimball's life doesn't conform to the company's exacting standards. Disney has had the book since January of 2012 and has yet to approve it. The publication of the book has been delayed a minimum of seven months, preventing those who pre-ordered the book from reading it and delaying earnings for both the author and publisher. I have not read the book and I certainly don't know the specific text that Disney is objecting to, but I find this situation to be very troubling for the chill it casts over our ability to comment on the world we live in. We are now in a time where entertainment corporations have run amuck. I have recently written about Sony taking ownership of any artwork submitted by job applicants. In Finland, the police have confiscated the laptop of a nine year old girl for downloading a single song from the Pirate Bay. In addition, they have fined the girl 600 Euros, even though the girl's father has proved that the girl later bought the album and concert tickets for the band in question. Several countries have instituted laws where three copyright violations can result in a user being banned from the internet altogether. One of the problems with this ban is how arbitrarily copyright violations are enforced. All over the web, there are sites which could be construed to be violating copyright. I say "could be" as a court could decide that material qualifies as fair use. And the copyright holder gets to selectively decide who to prosecute and who to ignore. In other words, if the company thinks the copyright violation is good marketing, it will turn a blind eye. Beyond the logistics of corporations using the law to arbitrarily punish people, there is the much larger question of who owns history, culture and speech? When culture is manufactured for a profit, do we have the right to discuss it, criticize it and respond to it? Can we use examples to make our case or are we limited by the legal rights of the manufacturer? As the entertainment corporations are now multinational behemoths with whole staffs of lawyers charged with protecting intellectual property, they use the threat of legal action as a deterrent. The Kimball book is a case in point. In court, it could be argued that any Disney artwork used in the book is fair use. What's one still image from the more than 100,000 frames in a feature film? How is the publication of a still depriving Disney of income? Disney could not suppress a book based on its text without proving libel, but it can suppress a book before the fact by denying the use of artwork and the threat of a lawsuit if a publisher decides to take a chance and publish anyway. Unfortunately, this is not an isolated incident. Disney owns Marvel and denied Sean Howe, the author of Marvel Comics: The Untold Story, the use of illustrations unless they could approve the text of the book. Howe and his publisher decided to forgo illustrations, so the history of a comic book company has no images of the artwork that made the company worth writing about. And as I mentioned above, copyright prosecutions are arbitrary. Howe has a tumblr where he has included images that should have been included in the book and so far, Disney hasn't complained. How strange is it that in the western world, it is permissible to comment on governments but not on companies that make cartoons? As corporations have increasingly lobbied governments to write laws for their own benefit, we may soon reach a point where criticizing governments is irrelevant and the corporations who should be criticized will stifle all dissent. In the past, if you pitched an idea to a studio, they would ask you to sign a release form before pitching. The form stated that the studio might already be developing a property similar to what you were about to pitch and that you acknowledged this. The purpose of the form was to prevent the people pitching from launching lawsuits if they felt their ideas had been stolen by the studios. In truth, at any given moment, studios have multiple properties in development and coincidences do occur. There were also cases where the release forms allowed studios to rip off ideas without paying for them. However, the release form made no claims to ownership of the material being pitched. The pitcher was free to take the material anywhere else. • SPE shall own exclusive rights, including any and all intellectual property rights, and shall be entitled to the unrestricted use of Submissions for any purpose, commercial or otherwise, without acknowledgment or additional compensation to you. In the event applicable law operates to prevent such assignment described above, or otherwise prevents SPE from becoming the sole owner of any such Submissions, you agree to grant to SPE, and this provision shall be effective as granting to SPE, (with unfettered rights of assignment) a perpetual, worldwide, paid-in-full, nonexclusive right (including any moral rights) and license to make, use, sell, reproduce, modify, adapt, publish, translate, create derivative works from, distribute, communicate to the public, perform and display the Submissions (in whole or in part) worldwide and or to incorporate it in other works in any form, media, or technology now known or later developed, for the full term of any rights that may exist in any such Submissions. By making Submissions, you represent that (i) you have full power and authority to make the assignment and license set forth above, (ii) the Submissions do not infringe the intellectual property rights of any third party, and (iii) SPE shall be free and have the right to use, assign, modify, edit, alter, adapt, distribute, dispose, promote, display, and transmit the Submissions, or reproduce them, in whole or in part, without compensation, notification, or additional consent from you or from any third party. Essentially, the above states that Sony takes ownership of your portfolio material when you apply for the job. If you are submitting samples of work you have done for other companies, Sony wants you to assign the rights to them. You clearly don't have the authority to do that for work you don't own, so that means that you are not legally allowed to show Sony work you've done for other companies. Sort of defeats the purpose of a submission portfolio, doesn't it? What's clearly disturbing though, is that any original work in your portfolio becomes their property. This does not depend on whether they hire you or not, they get ownership because you applied. How absurd is this? It means that legally, you could not take your own work and use it to apply to another company later, as it would now be owned by Sony. Furthermore, what right does Sony have to take ownership of your work without payment? And of course, it's not enough that Sony owns it, they list all the ways that they can use and mutilate your work "without compensation, notification, additional consent from you or from any third party." Sony's lawyers have been overzealous here. It means that nobody should be applying for these jobs, as you can't show them your work for others and shouldn't show them your personal work. Undoubtedly, someone will say it's just boilerplate. Sony would never exercise these rights, they're just trying to protect themselves. People sign what they have to in order to get work. But it remains a legal document unless it is successfully challenged in court, and that takes time and money. Imagine this scenario. I may hire you, but before you apply, I say you have to sign an I.O.U. for $100,000. I have no intention of ever collecting. It's just a formality. But the fact remains that by applying to work for me, you've given me the right to collect $100,000 from you. Would you want that hanging over your head? Would you want to hire a lawyer and go to court if I decide to collect? Isn't it doubly absurd if I don't hire you and never pay you a nickel but still want the $100,000? That's Mark Andrews, the final director of Pixar's Brave. 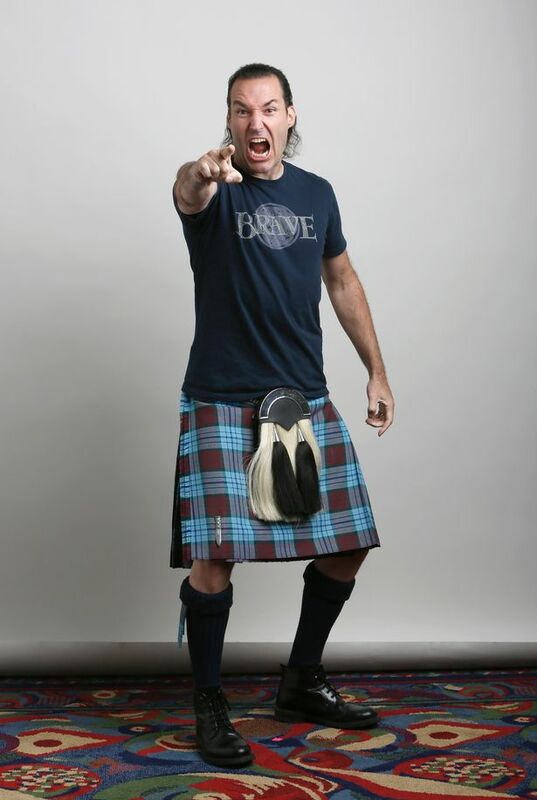 He is the recipient of the Global Scottish Thistle Award, for "those who have helped to put Scotland on the world stage." So far as I know, Andrews had nothing to do with setting the film in Scotland and Visit Scotland, the organization that gave him the award, seems to have no knowledge of Brenda Chapman, the film's original director. The Beat is reporting that Disney is in talks with Hasbro, which currently holds the toy licenses for Star Wars and the Marvel characters as well as owning Toy Story's Mr. Potato Head. Here is a list of the other things that Hasbro owns or licenses. While this could be as simple as a renegotiation of toy licenses, given Robert Iger's history it may be an indication that Hasbro is Disney's next purchase. While many gaps in animation history have been filled in the last 40 years, gaps remain. That's why any new book that fills in some blanks is to be celebrated. While Warner Bros. cartoons and certain of the directors have been covered relatively well, Bob McKimson has been present only intermittently in writings about the studio. Part of the reason is that he died just as animation history was moving into high gear and partially because he never attracted the critical or fan attention that directors like Chuck Jones did. This book (with excerpts available at the link), written by McKimson's son, Robert Jr, also covers McKimson's brothers Tom and Chuck, both of whom also contributed to Warner Bros. cartoons in the areas of character design and animation respectively. While the book covers their entire careers, it doesn't go into as much depth as I would have liked. Given that the author was a relative, I wish there had been more about the brothers as people. I didn't get a good picture of their personalities or their relationship. As well, the book isn't specific enough about some of the work. Chuck McKimson animated for Bob for several years in the post-war period, but no scenes are identified as his work and there is no discussion about how his animation differed, if at all, from his brother's. While the author is right to point out that Bob McKimson was the only Warner Bros. director who continued to animate on his cartoons, with the exception of The Hole Idea (animated entirely by the director due to the studio shutting down temporarily), there are no animation scenes identified from his years as a director. There's also no discussion of the evolution of the McKimson brothers' art over time. It's clear from the illustrations that their styles changed over the years, and not always for the better. By the 1950's, there's a tightness to some of Bob McKimson's drawings that compare unfavourably to his work during the 1940s. In the '50s, he had a tendency to draw arms and legs on characters like Bugs Bunny with parallel lines, causing the character to flatten out considerably. The liveliness and energy that he gave to Bugs in earlier years seems to have dissipated. The best parts of the book are the illustrations, which cover a range of fields: animation, comics, colouring books and publicity artwork. The McKimson brothers had a definite influence on the look of Warner Bros. cartoons, especially in the years before the end of World War II. Bob and Tom were major contributors to the Bob Clampett unit and Bob McKimson was arguably the main artistic influence on the look of Bugs Bunny, first for Tex Avery and later for Clampett. 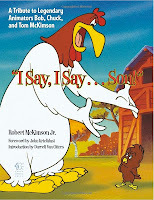 As a director, Bob McKimson is probably best known for Foghorn Leghorn and the Tasmanian Devil, who appeared in his cartoons exclusively. The McKimson brothers are certainly worthy of a book and this one is a start. As it is the best currently available, it is worth having, but there's a lot more to be said about the brothers and I hope that this isn't the last we'll read of them.